At the risk of spoiling this list up top, there’s no such thing as a crappy iPhone. But what fun is a roundup like this without at least one truly terrible entry? The Rokr E1 isn’t a true iPhone, but it is the first iTunes phone — and Apple’s first attempt at entering the phone market. And, man, was it terrible! Created in collaboration with Motorola, this 2005 disaster was an attempt to cross a cellphone with an iPod. Unfortunately, it was fiddly to use, locked to Cingular Wireless, uninspired in appearance, and generally garbage. Apple discontinued support just a year after introducing it. Like the iPhone 5s or iPhone 3GS, by the time the iPhone 7 came out, its design was starting to feel slightly tired. But the iPhone 7 did make a few noticeable improvements. For one thing, the antenna bands were redesigned to be less noticeable than on previous models. This was especially true on the stunning jet black color option. Apple also took the first step toward eliminating the Home button by replacing the physical button with a haptic one. The new Home button simulated clicks using the so-called Taptic Engine. I prefer a mechanical Home button like on previous models. With the introduction of a (Product)Red color option, I didn’t like the white face. People were sure upset about the lack of a headphone jack, too! The iPhone 5c ranks lower because in my opinion, this is the most cheaply designed iPhone Apple’s ever made. This was the first time Apple split the iPhone into two versions, with the lower-spec iPhone 5c pitched as a budget option. 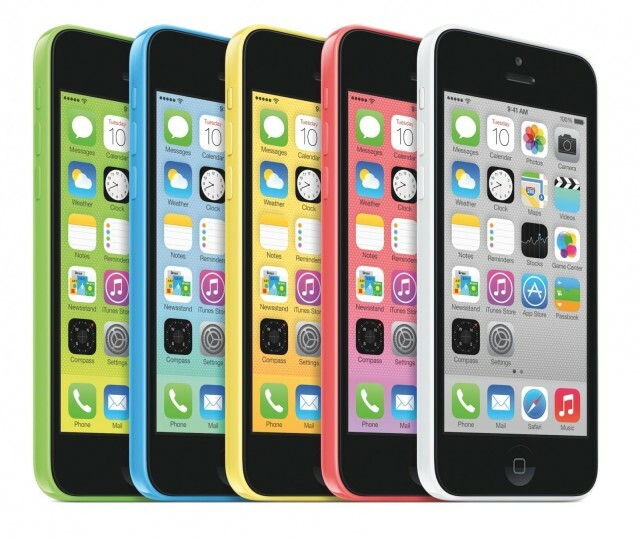 Unlike the iPhone 5s, the 5c didn’t get the Touch ID sensor everyone was talking about in late 2013. But the colorful design was a fun nod to the more cheerful, less austere products in Apple’s history, like the iBook and iMac G3. The iPhone X is Apple’s biggest reimagining of its smartphone in years. Visually stunning, it finally brought the edge-to-edge display fans had been hankering after. We lost Touch ID, but Face ID turned out to be even better. With the “notch”, this is a handsome iPhone. Heck, rivals even copied the controversial “notch” as quickly as they could. My complaints are its User Interface, such as having to swipe down from the top right of the screen to access the Control Center whereas on pre-iPhone Xs, you would swipe up from the bottom of the screen. Another is putting too many functions into the Power button, like activating Apple Pay and powering off the iPhone with a combination of two buttons. Overall, it has a compromised User Interface. I think Apple took a step backwards with the iPhone X's User Interface. My other complaint is the price. I have to draw the line at this point. Paying a thousand dollars or more is not realistic, regardless of what it can do or its design because the bottomline is that it is a phone, first and foremost. A mobile device that gets dropped and sat on. If you break the screen on an iPhone X, the repair costs $400 - $500. It’s ridiculous! Trying to place the new iPhone XS on this list is difficult. After all, every other handset on this list has had at least a year of regular use to ascertain its respective strengths and weaknesses. You can check out Cult of Mac‘s iPhone XS review here. Features that stand out are: the ability to manually adjust the aperture of a photo, and thus the depth of field, after it’s already been captured. It’s usually achieved through the use of light-field photography. One feature that separates the XS from last year’s X and from the new XR is the IP68 rated water, splash, and dust resistance. It’s one step up from the IP67 rating of the original iPhone X, and it means that you can accidentally submerge your XS or XS Max in up to seven feet of water for as long as 30 minutes. That’s twice the depth that the IP67 rating allows. So if you’re prone to dropping your iPhone into, say, a swimming pool or lake instead of just a toilet or bathtub, the XS is a big improvement in the not-needing-a-replacement-device department. Other improvements include: dual SIM support, stereo sound, stereo recording and a 512GB storage option, to name the most prominent. It’s a beautiful handset, but probably not a big enough leap forward from the iPhone X to rank higher on this list. The iPhone 5s falls into the same category as a lot of the other “S” model iPhones. It builds on a very solid foundation, but doesn’t leap out as a memorable iPhone. The introduction of Touch ID was very nice, but it’s easy to forget how slow and unreliable the first-gen sensor was. This was also right around the time that Android makers started to embrace larger “phablet” devices. The iPhone 5s may have been perfectly formed, but its 4-inch display felt small next to other handsets on the market. 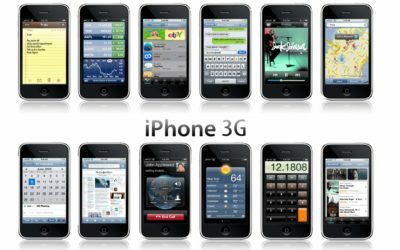 The iPhone 3G was a big step forward. 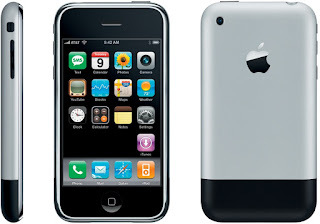 The iPhone 3G doesn’t have the “oh my god, everything’s changed” impact of the first model. But it took what worked about the first iPhone and improved it. It added GPS, tri-band UMTS/HSDPA, and a brand new plastic polycarbonate housing. The most crucial change, however, was the introduction of 3G. This transformed the experience of using the internet on a phone whose big selling point was the ability to use the proper (not mobile) internet. Plus, the iPhone 3G introduced the App Store — with a whopping 500 apps to choose from on Day One. This model also gets bonus points for being the first iPhone to come in multiple colors, or at least your choice of black or white. 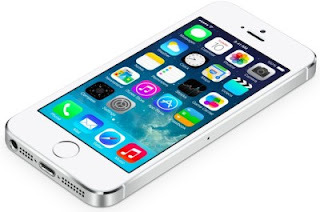 The iPhone 6 brought the biggest design change in an iPhone since 2010’s iPhone 4. It and its larger sibling, the 6 Plus, instantly became insanely popular. Plus, at that point, even the smaller iPhone 6’s 4.7-inch screen felt luxurious. I’m not a giant fan of this design. Its surfboard design is more ungainly than some of its predecessors, and it felt slippery in your hands. The visible antenna bands and protruding camera lens may have been necessary from a technical perspective, but they also looked ugly and compromised. There’s no getting around the fact that it changed the game for Apple, though. This iPhone was just crazy popular! “Underrated” is my word for the iPhone SE. Admittedly that shouldn’t make sense, since this is my own personal rating for every iPhone. But it feels like an iPhone that we’re really going to miss now that it’s gone. While it lacked features such as 3D Touch, the 4-inch iPhone SE did a great job of combining a favorite iPhone design of the past with up-to-date internals. In some ways, I think the iPhone SE should rank even higher. But since it was more about dusting off an old design and giving it a tweak, this feels like the right place for it. The iPhone 8 is a very solid phone. It marked the fourth year in a row that Apple went with the tried-and-true iPhone 6 design. I like the Product Red color with the Black Face. Wireless charging is nice, the camera is great, and True Tone technology is nifty. 2009’s iPhone 3GS boasted better performance (the “S” stood for “speed”) and an improved, 3-megapixel camera that let users shoot video. The best feature for me, was being able to ask it to call a contact using a Bluetooth earpiece while driving. This was before Siri was introduced in the iPhone 4s. The iPhone 6s is built on the groundwork laid by the iPhone 6, and added features like a stronger body than the iPhone 6 (Bendgate) 3D Touch and a 12 Megapixel camera with the Live Photos feature. What’s impressive to me is how snappy the User Interface is, including the second generation of Touch I.D., thanks to the A9 processor which makes a huge leap in performance over the iPhone 6. New features like 3D Touch are good, although it perhaps hasn’t lived up to its early promise. The greatest thing about the iPhone 4s was the introduction of Siri. I didn’t like the glass-back design though. It was unnecessary to have glass on the back. It served no purpose other than to break when dropped or when sat on when it's in your back pocket. The addition of an 8MP camera was swanky, though. 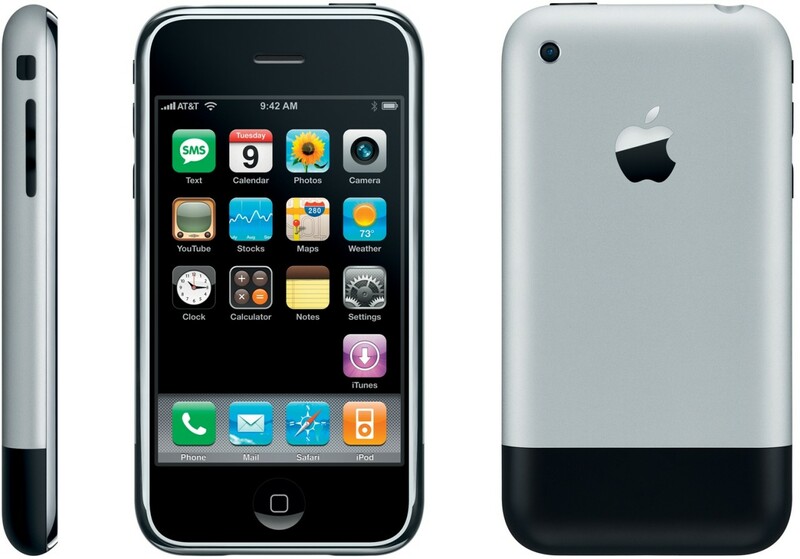 The first-generation iPhone, launched in 2007, was more about innovation than perfection. It was locked to AT&T, lacked an App Store out of the gate, and ran on the painfully slow 2G wireless network. By today’s standards, its 3.5-inch display is practically microscopic. Oh, and its 4GB storage option was so ridiculously paltry that Apple dropped it after three months. However, this device sparked the smartphone revolution. It proved far more exciting than the BlackBerry, Motorola and Palm rivals of its day. I think this was a magical phone when it came out.